Home / Content Writing / Traffic Generation / Traffic vs Content. Which Is More Important? I have been asked countless times: should I build traffic first or should I build content first? While both are equally important, there have to be a priority on which one you should carry out first. 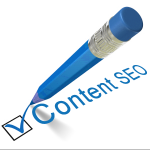 Before you drive traffic to your site, you must have enough content to attract and retain your visitors. There must be enough ‘value’ in your site to attract and entice your visitors so that they will bookmark your site and subscribe to your newsletter. On the other hand, you can’t be forever building your content. No doubt that ‘content is king’, but what the use of having a highly informative site when no one comes and read it? If you are just started out doing online business, my advice is to first build your content until you have substantial materials to attract your visitors (the number of pages required will depend on the type of site that you are building; an information site will require about 30 pages to consider substantial), then switch focus to build and drive as much traffic to your site. For traffic building, it is best to employ strategy that brings in passive traffic. Examples of such strategy include link exchange, article writing and viral marketing. The bottom line is: you only need to do it once, but enjoy the traffic over and over again. Note that strategy such as pay-per-click does not give you passive traffic. Once you achieve a certain level of daily visitor count (say about 100 – 150 unique visitors per day), you can then return to add more content and provide more value to your visitors. If you can micro-manage your time, it will be even better if you can build content and drive traffic concurrently. Nevertheless, both traffic and contents are crucial to the survival of your online business and neglecting one over another will definitely bring disaster to your site.